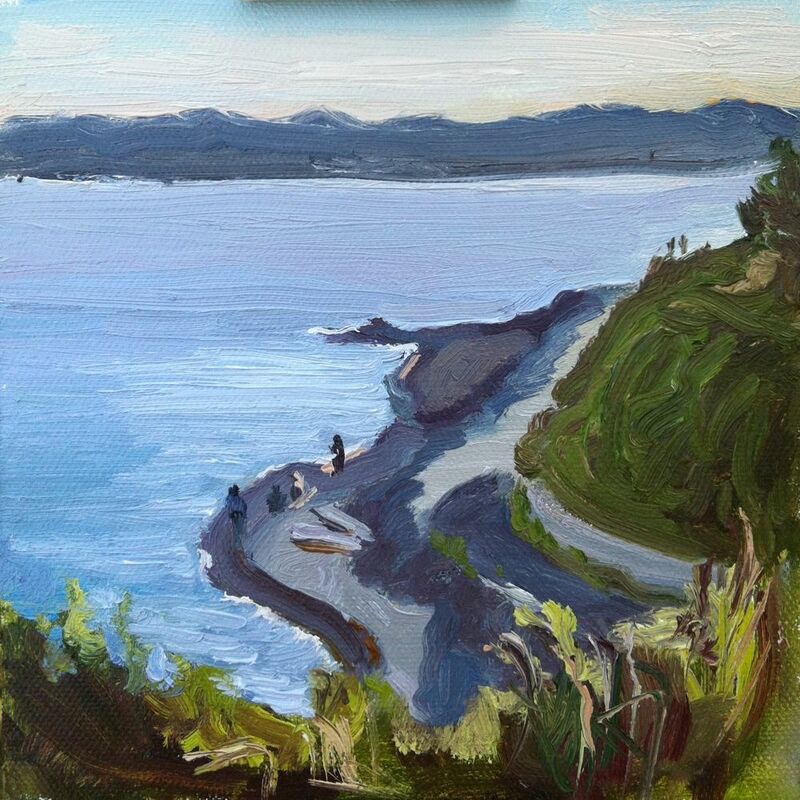 This view point to Fonyo Beach is one of my favourite views.I painted it close to sunset yesterday. The light was changing so fast. By the time I painted one thing it was already changed. That's the way with plein air painting. Nice rendition...I used to live very close to here.